September 17, 2012 — Apple announced pre-orders of its iPhone 5 topped two million in just 24 hours, more than double the previous record of one million held by iPhone 4S. What factors contribute to the iPhone 5 shatter the previous record? There is a lot. And below we will list some mainly ones which attracting iPhone users. Newly built-in with LTE technology make iPhone support the ultrafast wireless. That is different from the older iPhone, which only support the 3G networks. LTE wireless technology supplies the fast data connecting speed. What’s more, iPhone 5 supports more networks all over the world. Those include advanced networks such as HSPA, HSPA+, and DC-HSDPA. All will make you browse, download, and stream content at ultrafast speeds. Although iPhone 4S had ever created the pre-order record. There is a lot of fans still choose to wait for the iPhone 5 rather than the 4S. The mainly reason is its lack of innovation which is very similar with iPhone 4. But the operator’s vigorously promoting when iPhone 4S first announced still make it a good sales performance. iPhone 5 is built-in with the newest A6 chip, which make everything you do on iPhone 5 noticeably faster — up to twice as fast compared with the A5 chip. That means your apps launch, web pages load, and email attachments appear almost instantly. The new A6 chip also allows you enjoy higher frame rates for smoother, more realistic media play. One more important point is that the A6 chip is designed to work with iOS 6 to be extremely power efficient. The pursuit of fashion is one of the optimal factors contribute to the new iPhone a best seller. SO the students in high school or college are be easily affected and to chase and possess a new iPhone. 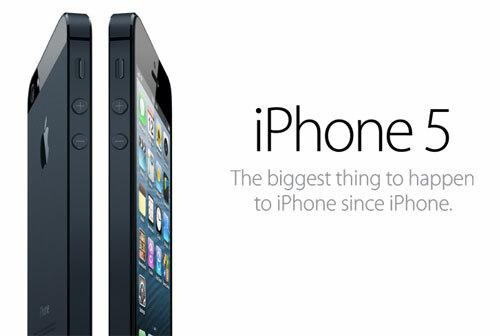 The iPhone 5 will soon become a cool device everyone wants to own. The more quickly they get the device, the more their pursuit vogue of psychology will be satisfied. It is obviously the youth is the key for iPhone’s success. For a long time, when all the new Android phones apply with a big screen, Apple still make it iPhone with the 3.5 inch. The rule is broken in the new iPhone 5. It offers users a newly 4 inch retina display, which is bigger, but the same width as iPhone 4S. So you can still do everything with one hand as before. A larger canvas will lets you see more of your web page, inbox, events on your calendar, even apps on your Home screen. Due to the almost same design with iPhone 4, a lot of users gave up their thought for updating to the iPhone 4S. The not obvious function ascension didn’t make enthusiastic iPhone fans make up their mind. But now, the iPhone 5, with a big screen, carried the newest A6 chip, will make the long-awaited iPhone users have a new crush on it.